Find out more about citation analysis. Pure aims to sustain and enhance the research reputations of individuals and organisations affiliated with the University. We provide dedicated support and advice to all users of the service. Find out more about Pure. Find out more about the Scholarly Communication Service. The Library provides support for researchers at the University who want to publish Open Access. Further information can be found on the Open Access at Manchester website. Visit the referencing guide for details. government reports, policy statements and issued papers. The British Library reports, Conferences and Theses can be searched for through the British Library Integrated Catalogue. Google Scholar provides a quick way to search for scholarly literature across disciplines and sources. You can find articles, theses, books, abstracts and grey literature from academic publishers, professional societies, online repositories, universities and other sources. Grey Net provides information about grey literature. GreySource Index provides a list of web-based grey literature resources. OpenGrey is a multidisciplinary European resource which provides open access to 700,000 bibliographical references of grey literature produced in Europe. It covers science, technology, biomedical science, economics, social science and humanities. Examples of grey literature include technical or research reports, doctoral dissertations, conference papers and official publications. The UK International Repository searches across 130 UK academic repositories. Document types includes Report, Conference Object, Working paper. Scopus is a user-friendly database covering some 12,000 journals from all aspects of science, technology and medicine, with some quite sophisticated features. ​You've spent a lot of time on making sure your research is cutting edge and packed full of insight and new discoveries; now you want to get an impression of the influence it's having. Which online tools and platforms are the most useful to me? How can I find the time to use social media tools to promote my research? How can I maximise access to my research? How do I know if my online presence strategies are effective? 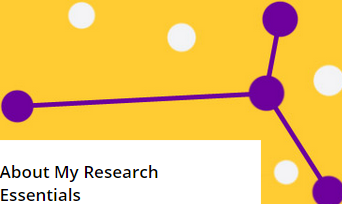 View all workshops and online resources in this area on the My Research Essentials webpages. Free access to details of research carried out in your area. Free access to details of research carried out by particular researchers. Research papers may be available free of charge. Content can be found by internet search engines such as Google. Pure is our institutional repository. For other repositories search the Directory of Open Access Repositories. Do you need to visit other university libraries? You can use SCONUL (Society of College, National and University Libraries) which is a co-operative venture between most of the UK’s higher education libraries. It enables academic staff, part-time, distance learning, full time postgraduate and placement students to borrow material from other libraries. So if you can’t visit the University of Manchester Library then you can access your local academic libraries using the SCONUL scheme.